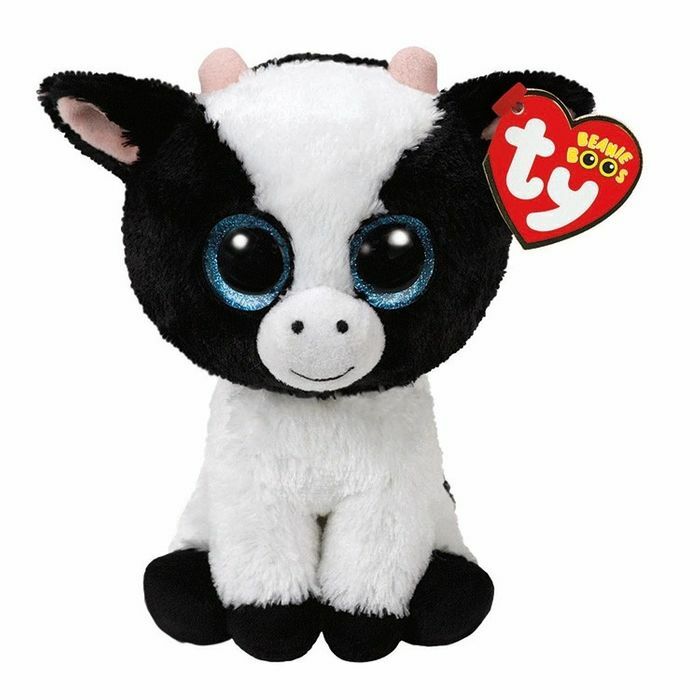 If you’re looking for a cute and cuddle companion, look no further than Butter the Cow. He is perfect for both young and old alike. Butter has soft black and white fur and small pink horns escaping out the top of his head. His blue eyes glitter and sparkle like a starlit waterfall and a smile dances its way across his face in such a mesmerisingly adorable fashion that you can’t help but smile. Please remove all tags before giving the item to a child, and in order to care for your Beanie Baby, Ty recommends hand washing. What do you think of this Temptation Gifts deal? I collect these have done for years. I 've got room for this cute one thank you agnessmann for sharing this deal. Really cute and will come in handy as a gift. Good find - thank you for sharing. My daughter also collects these.. Great price. Thanks for sharing.